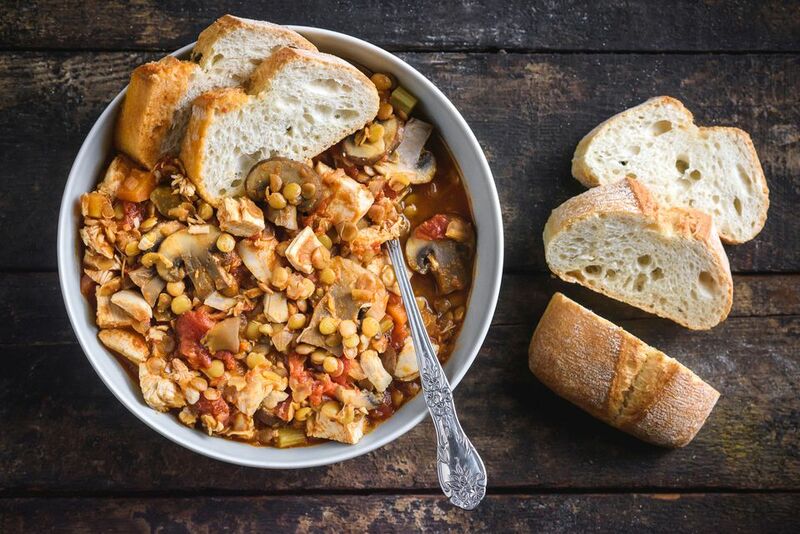 If you're wondering what to do with leftover turkey from Thanksgiving or Christmas, you can use some in this hearty and delicious soup. Cooked chicken breast works equally well, of course. Heat oil on medium heat in a large Dutch oven or soup pot. Sauté onion, carrots, celery and mushrooms until softened. Sprinkle curry powder and cook for 1 minute. Add lentils, followed by broth and canned tomatoes. Bring to a boil, then cover and simmer for 25 minutes, until lentils are cooked. Stir in chopped turkey and simmer for 2 to 3 minutes.